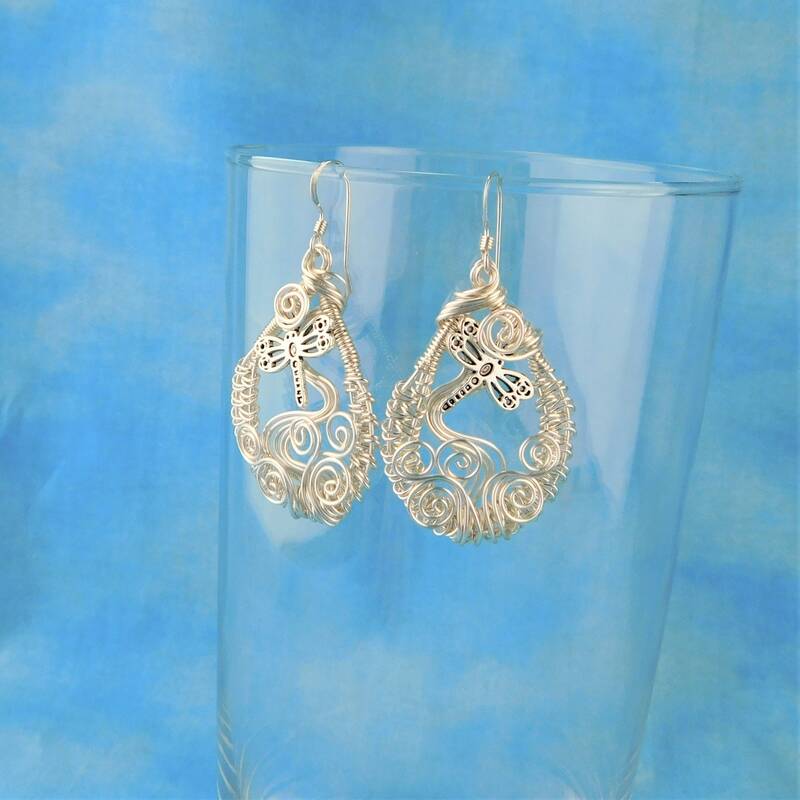 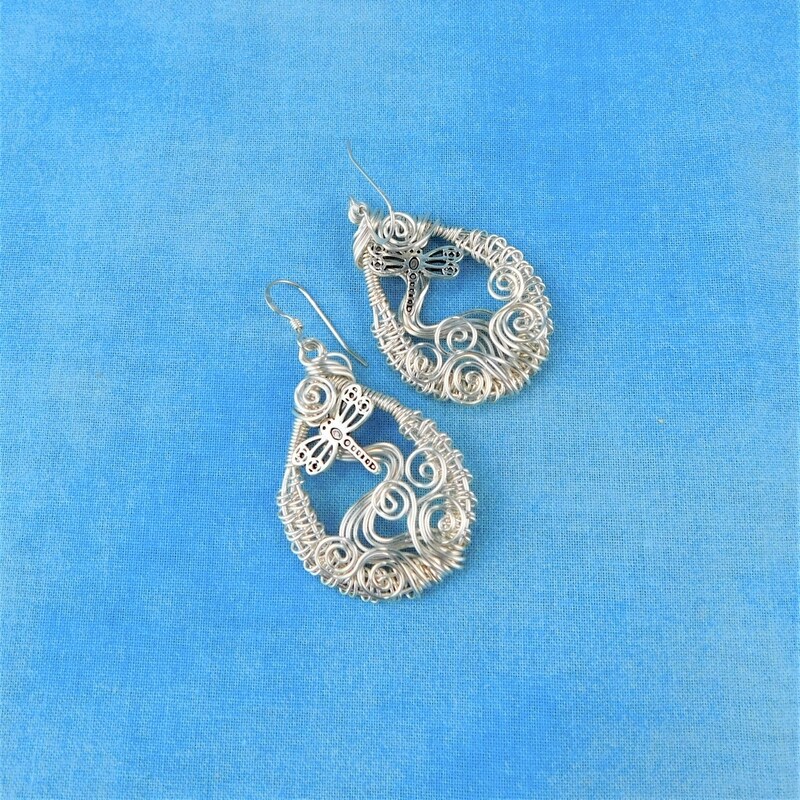 Non TArnish fine silver over copper wire is hand woven, sculpted and embellished with small silver dragonflies. 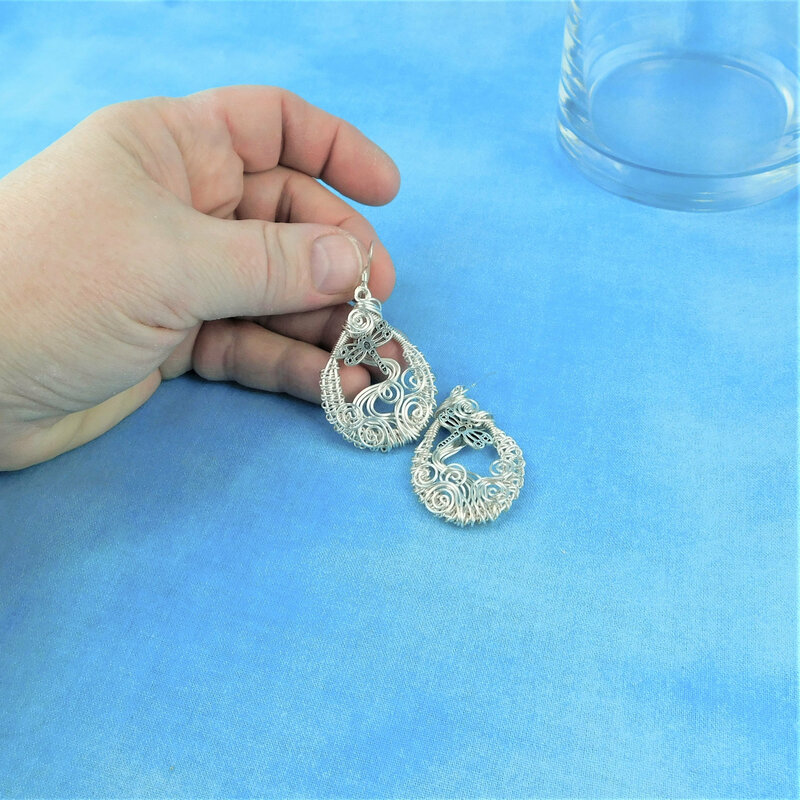 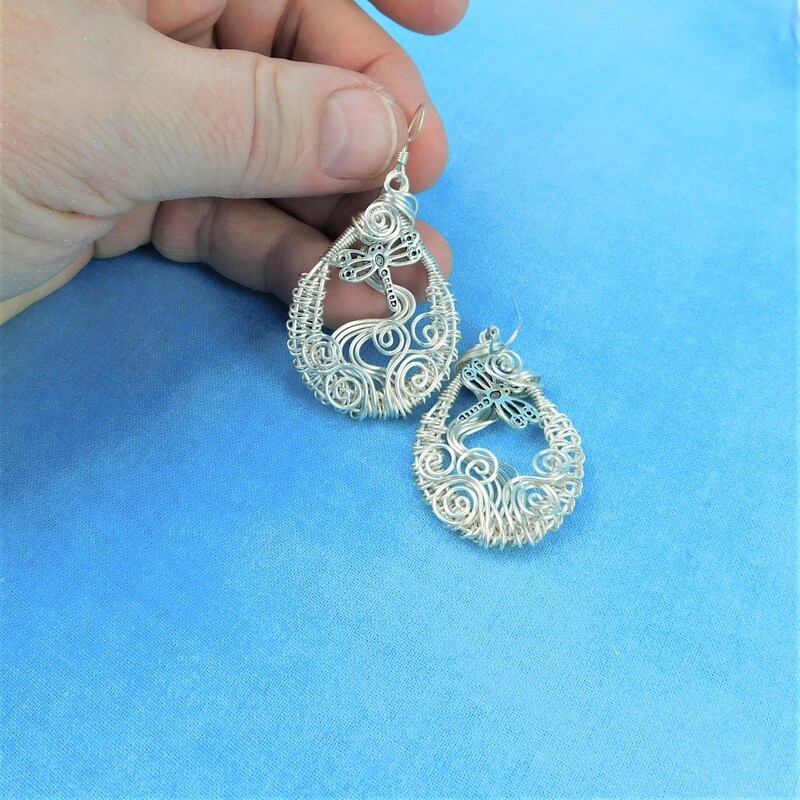 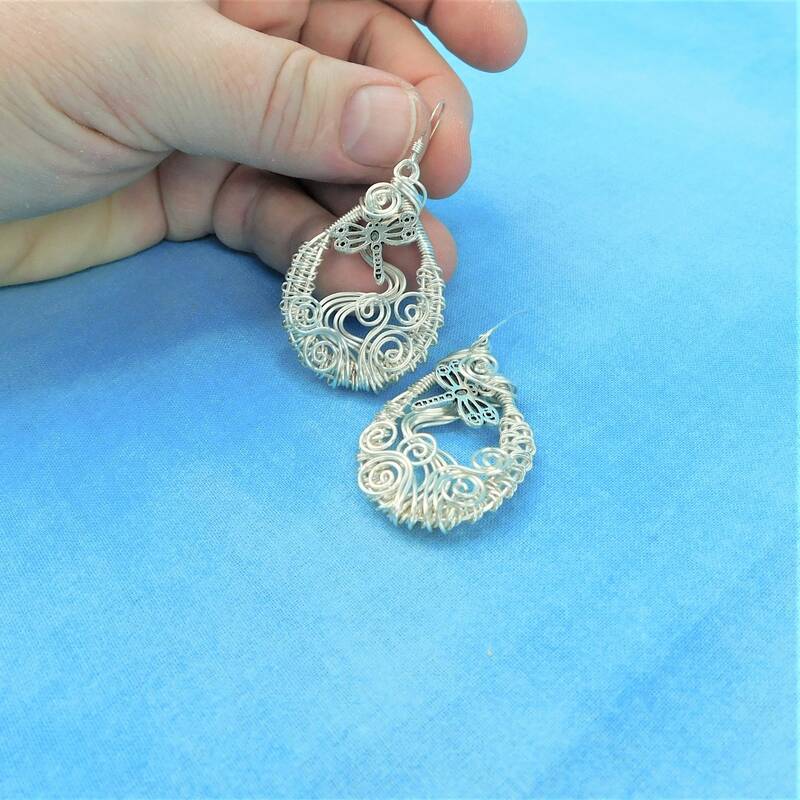 The interesting and unique artistic quality of these earrings are perfect for the woman who values individuality and self expression. 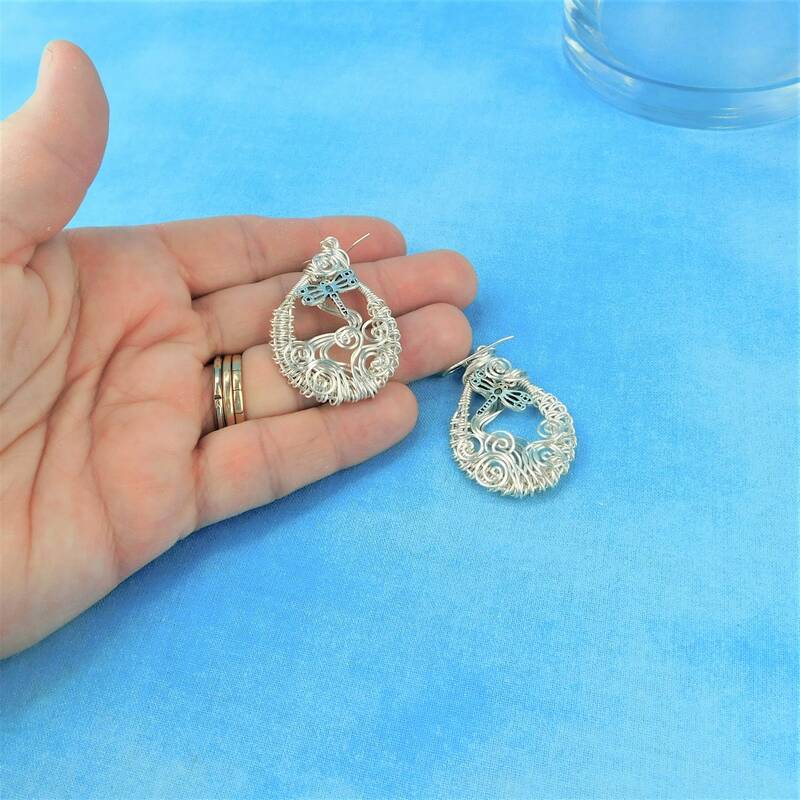 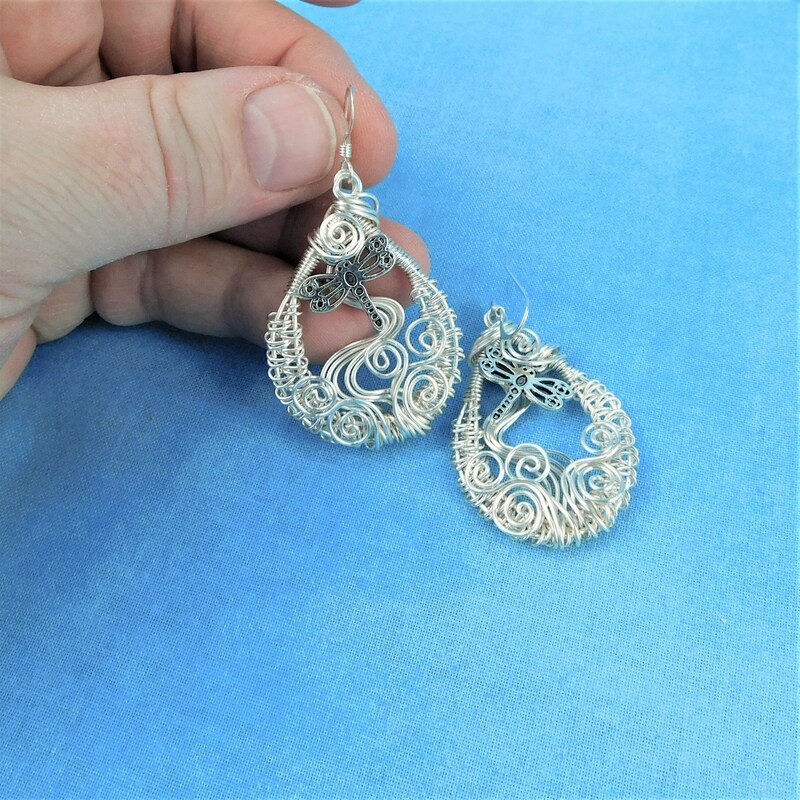 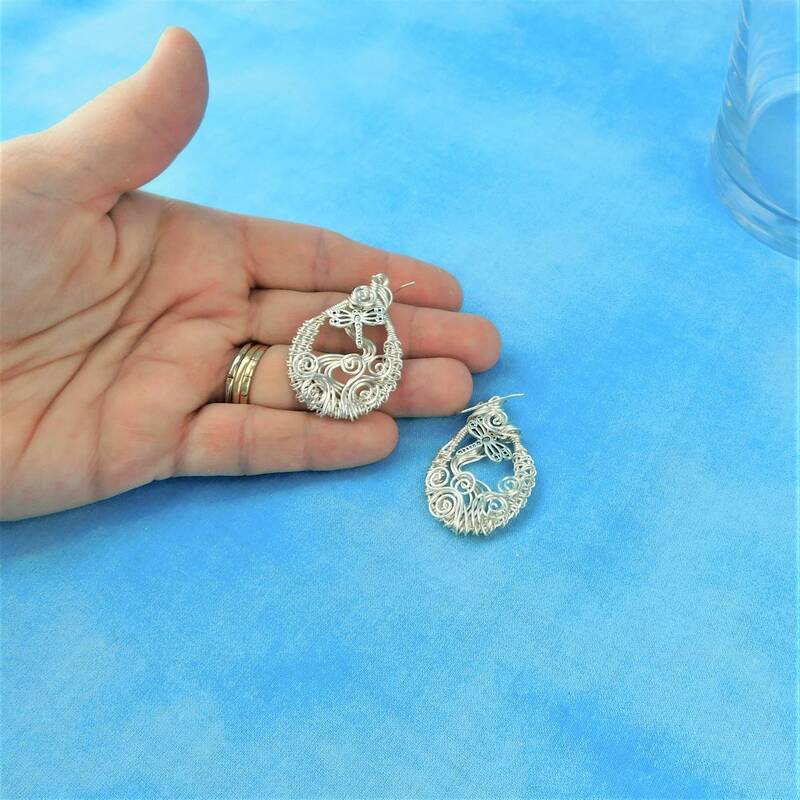 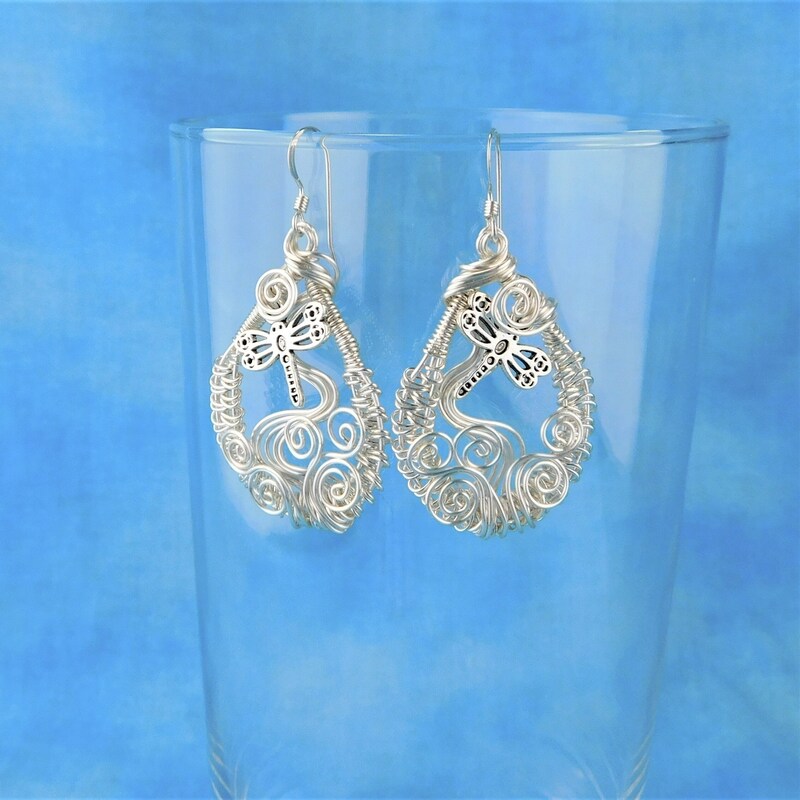 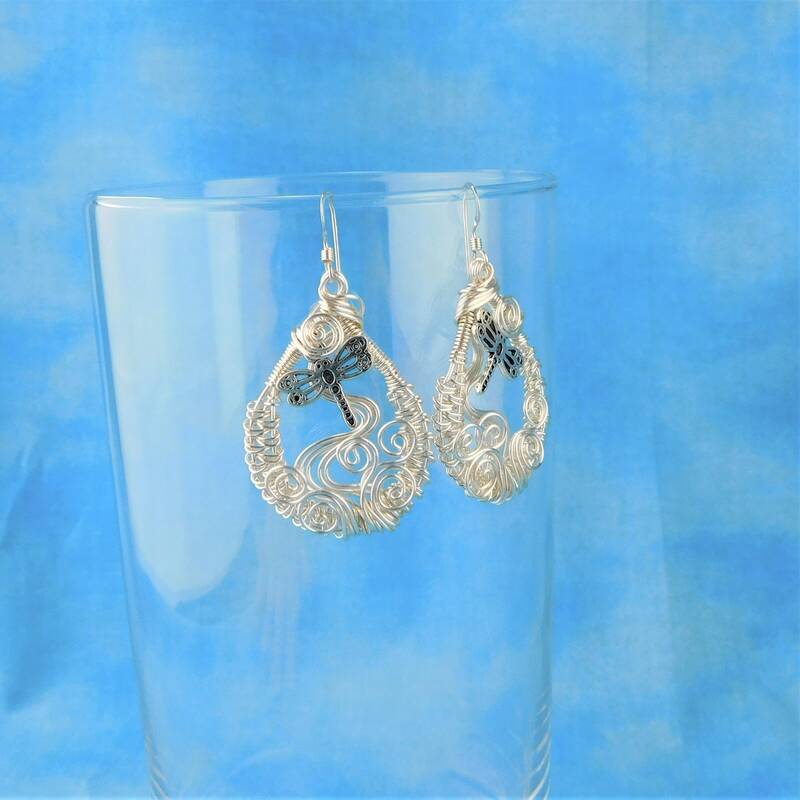 The earrings measure 1 1/2 inches long and hang from sterling silver fish hook style ear wires.